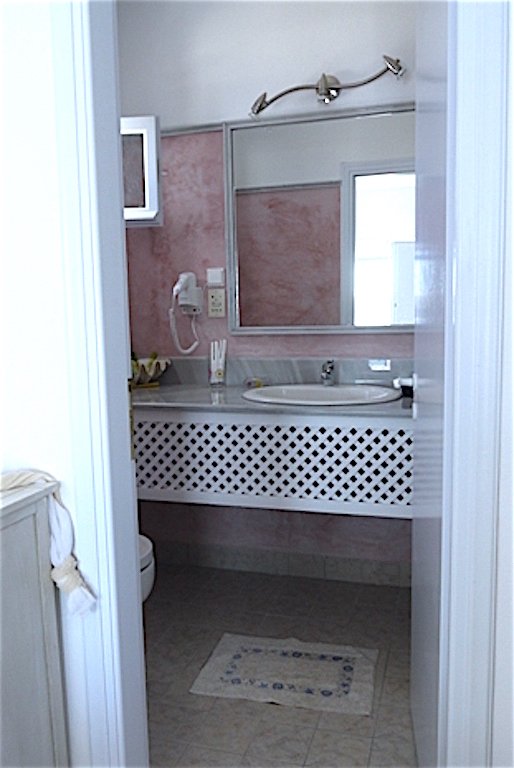 Ambassador villa is in the building No 1, upon the first floor. 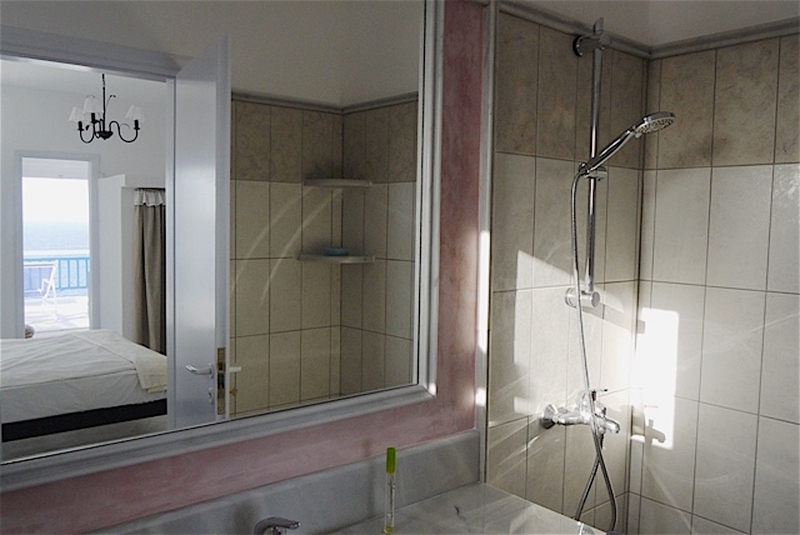 It is a quiet separate house of 80m2, which sleeps 4-6 people. 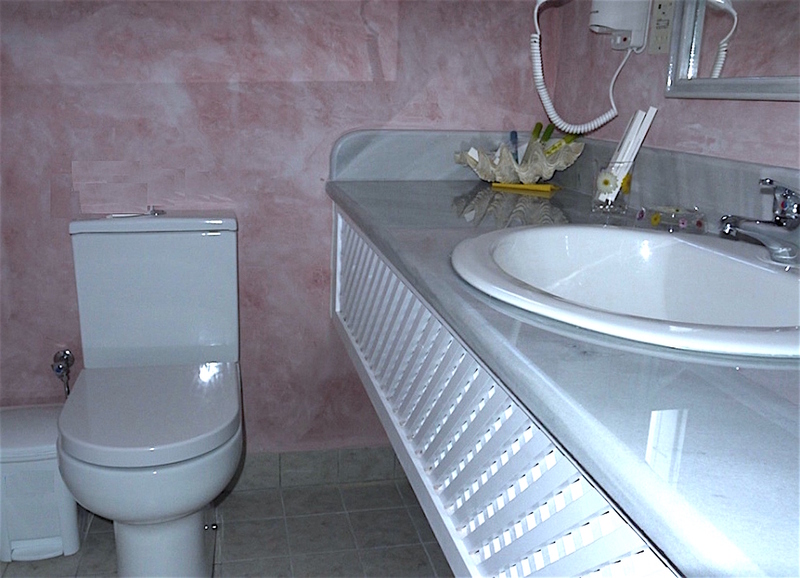 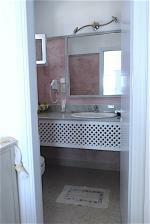 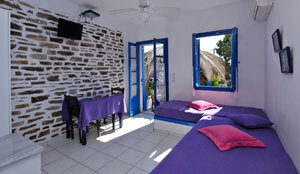 It has: One double bedroom with a double bed and an en suite bathroom with shower, Α/C, and TV. 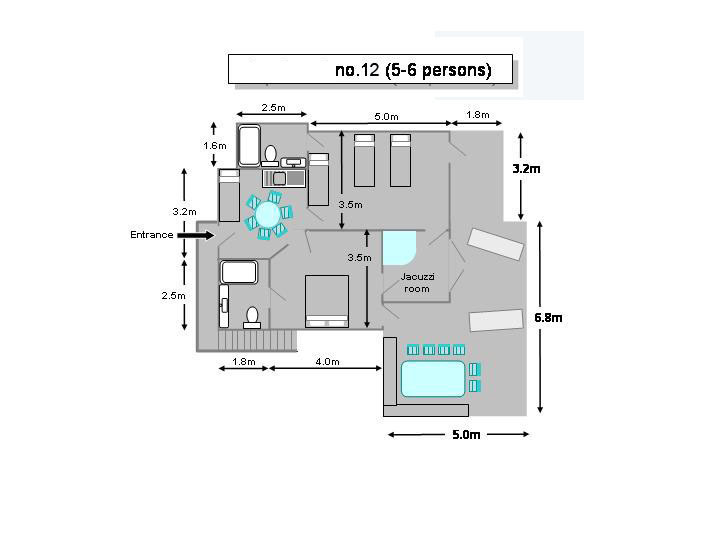 A living room with a second en suite bathroom plus a shower cabin and 2 sofa beds, one single and one double, Α/C and TV. 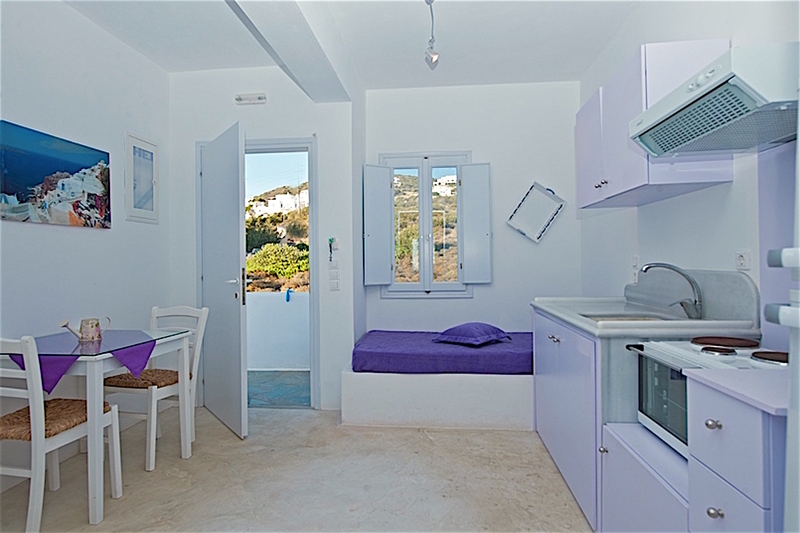 The fully equipped kitchen is a separate room with dining table and a single bed for a child. 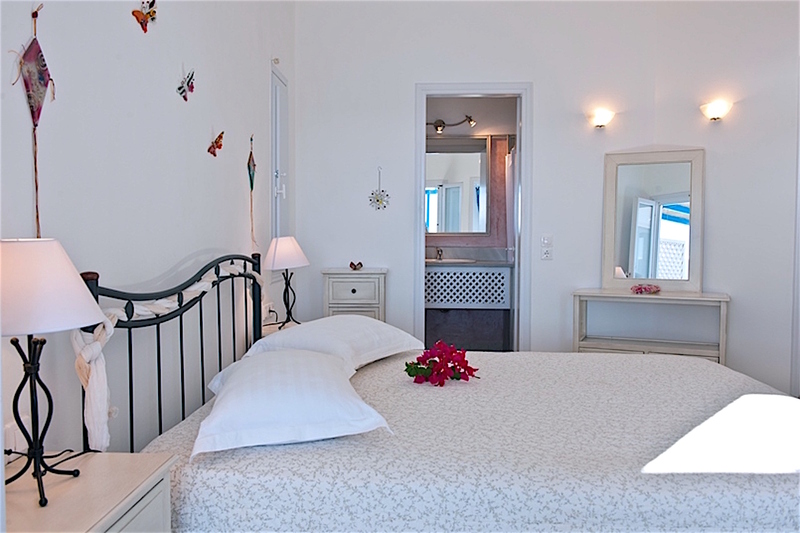 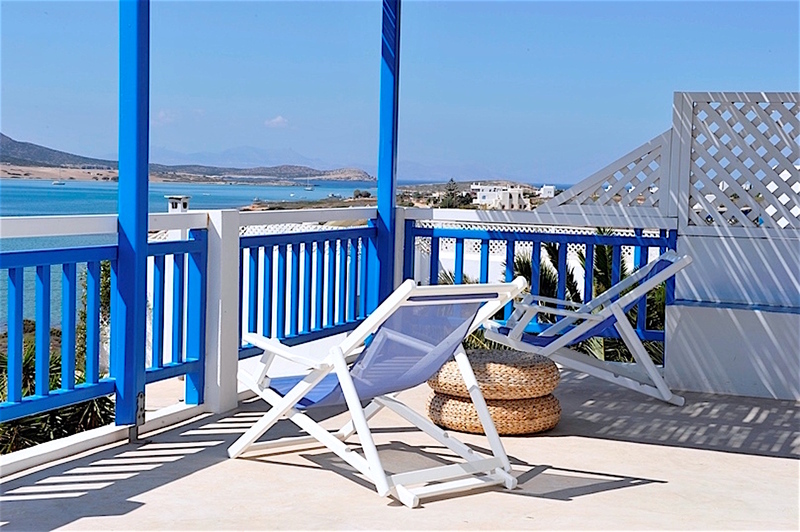 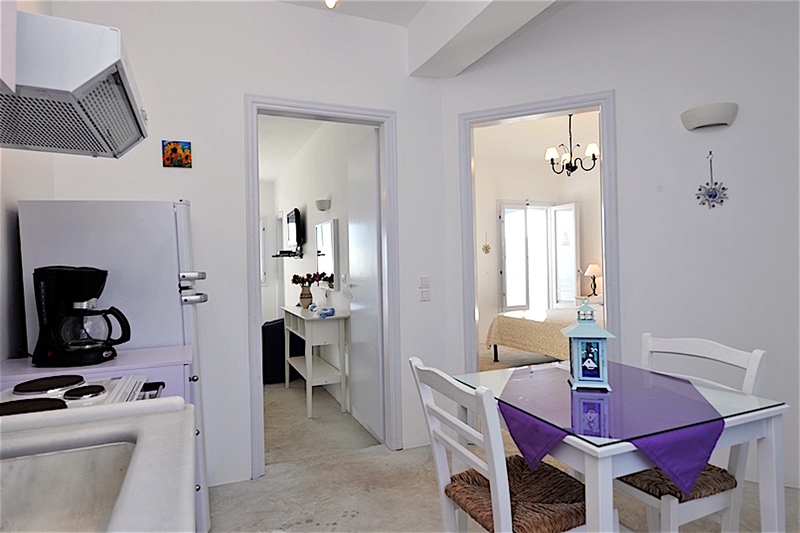 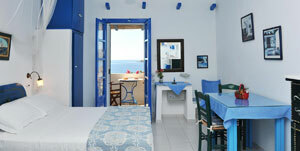 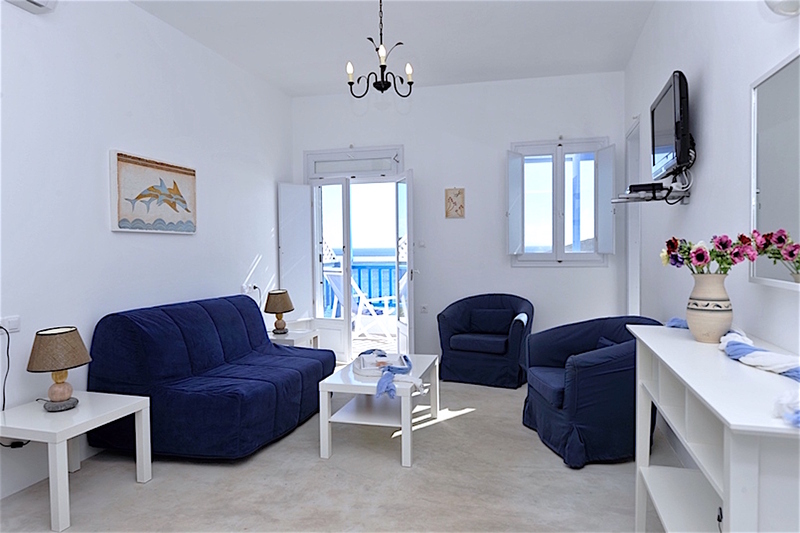 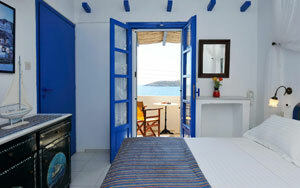 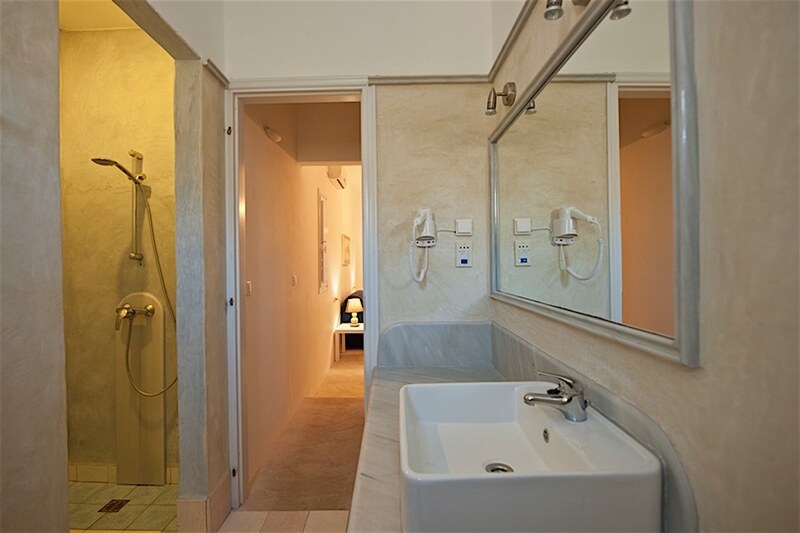 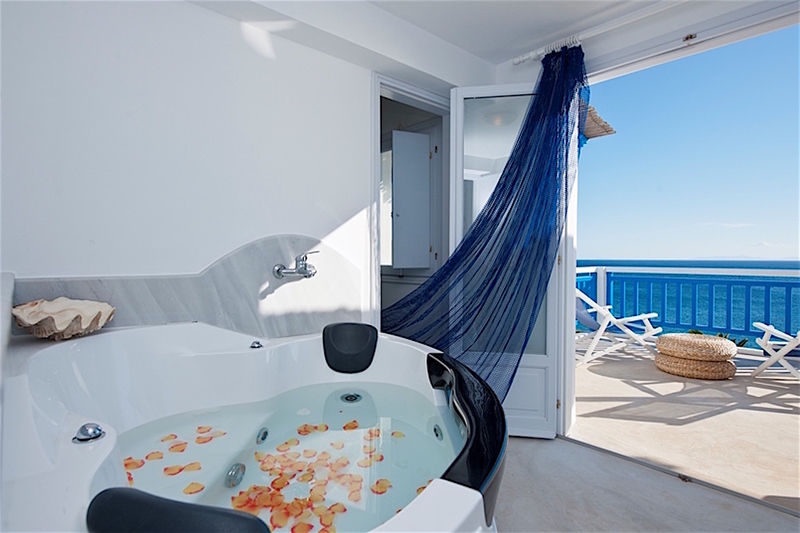 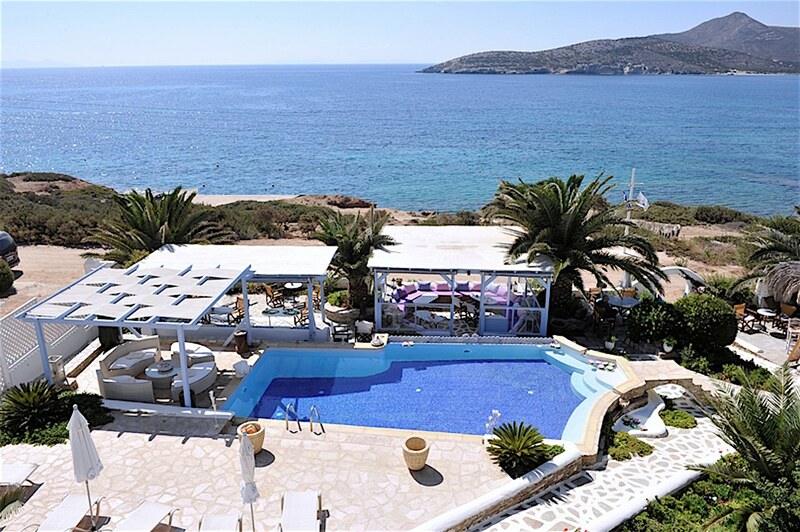 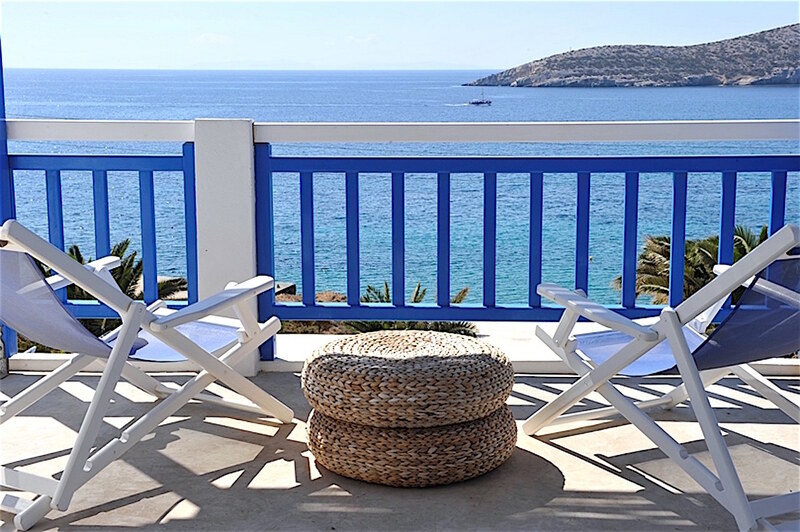 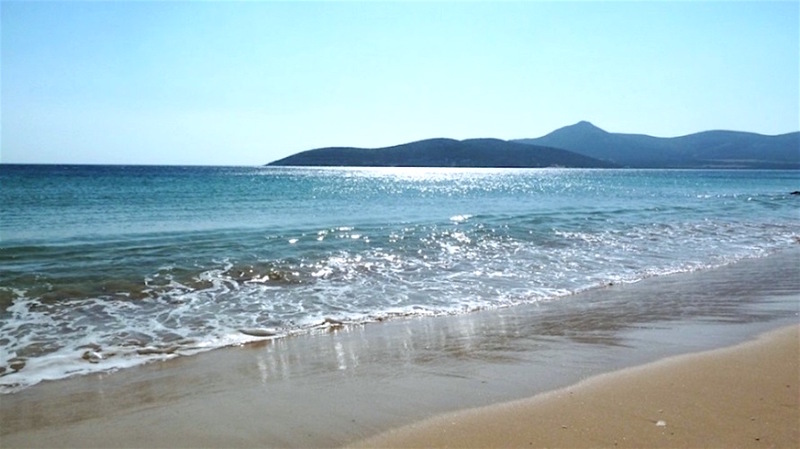 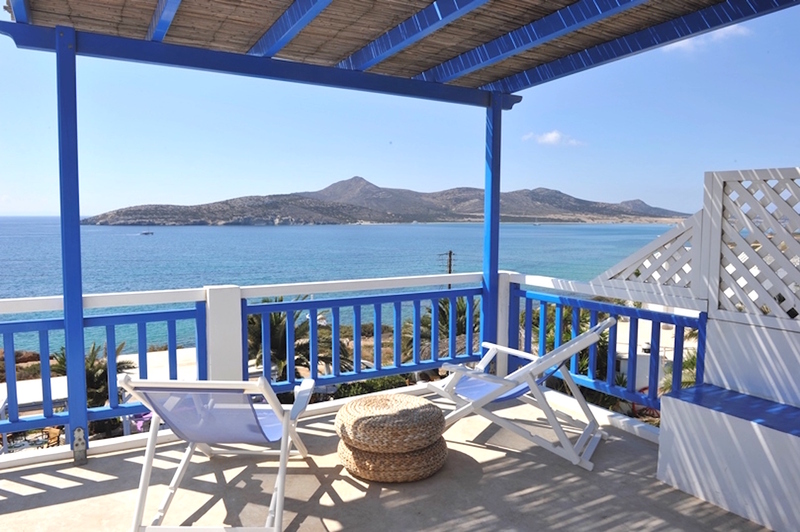 In an in front separate room there is a Jacuzzi with panoramic stunning views of the Aegean sea. 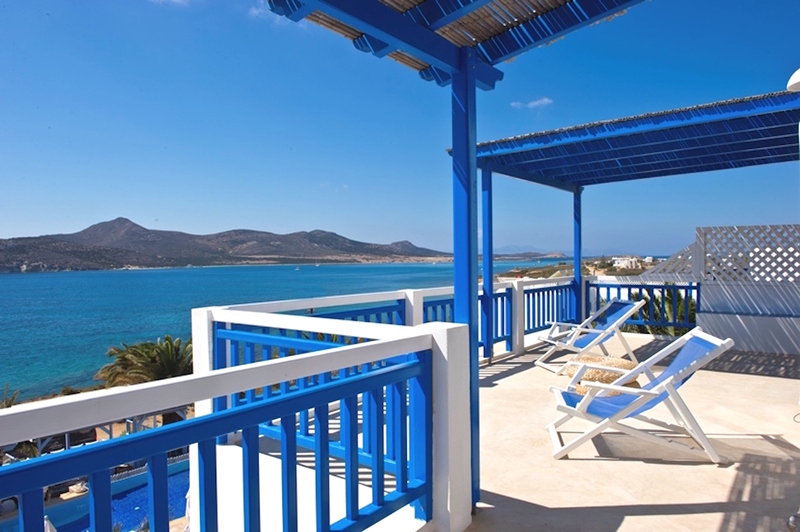 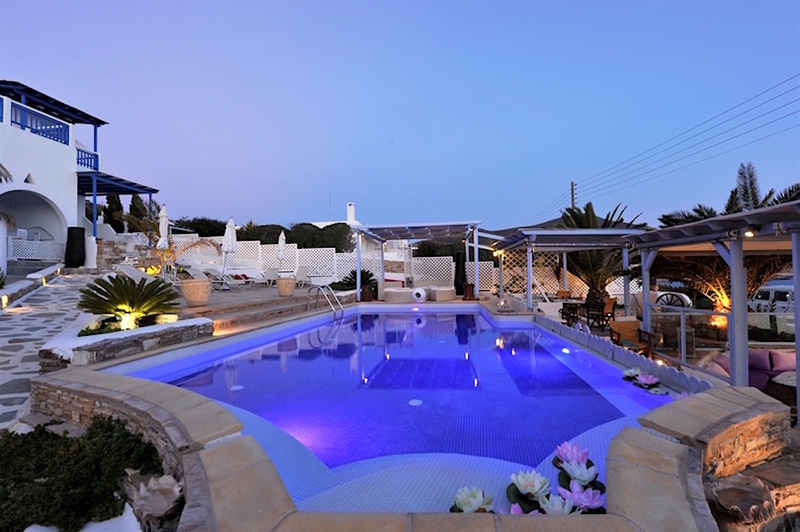 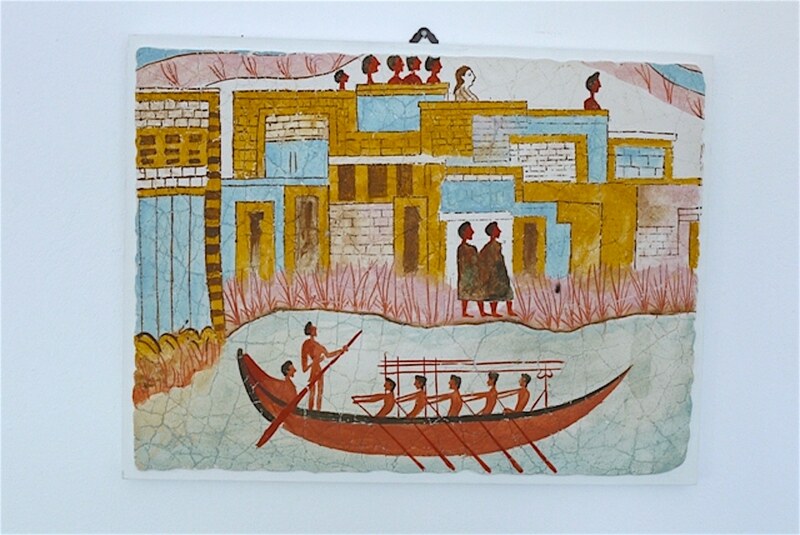 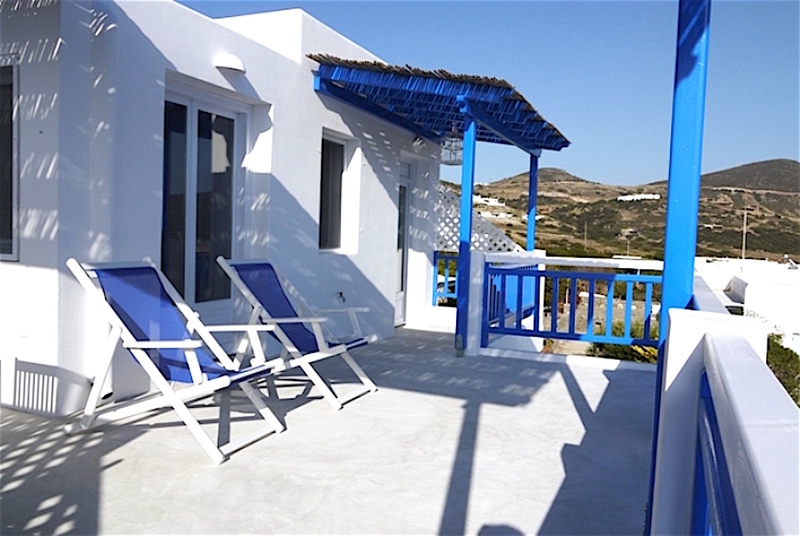 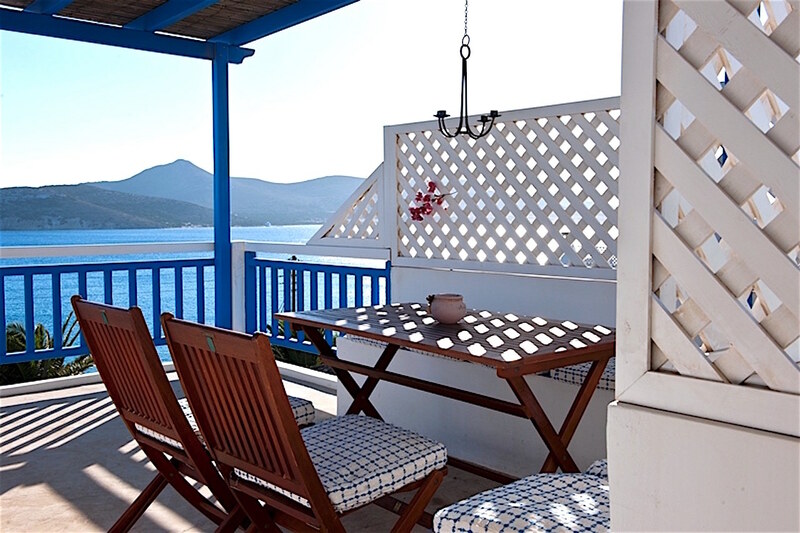 It has a very large terrace of 40m2 with dining table and sun-chairs overlooking the surrounding islands and the sunset. 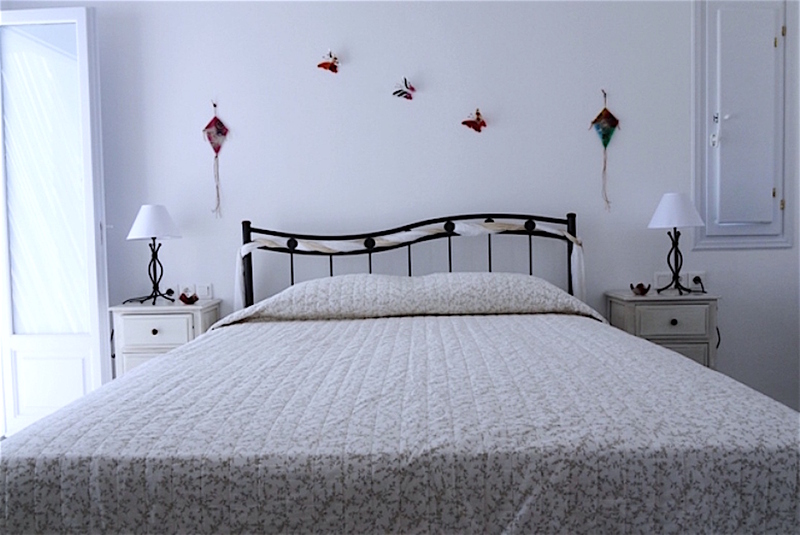 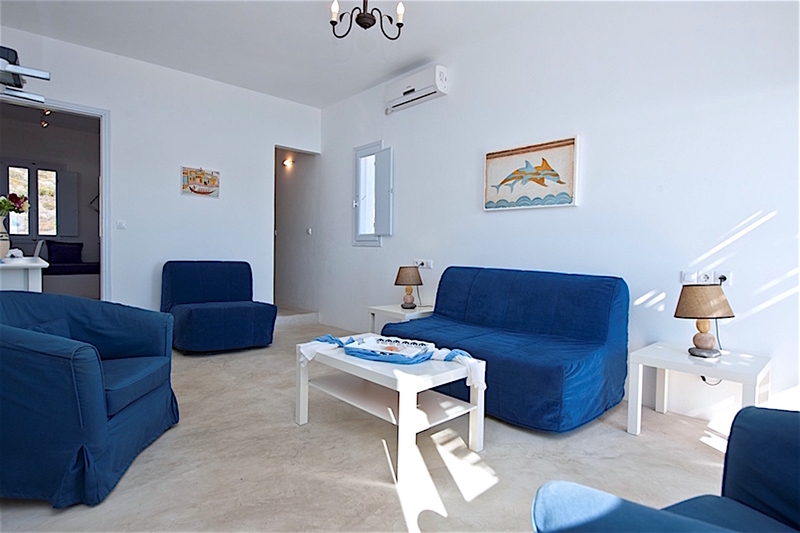 For families more than four people the suite can accommodate 1-2 more children with exrea charge 20 Euros per night and 30 Euros per night the pick season.